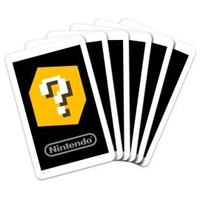 Description: The 6 original AR Cards that come with every 3DS, and are needed to play AR Games and make use of AR Card features in other games. This is a list of VGCollect users who have AR Cards in their Collection. This is a list of VGCollect users who have AR Cards in their Sell List. This is a list of VGCollect users who have AR Cards in their Wish List.